New Delhi: Prakash Singh, the former Uttar Pradesh director general of police (DGP) credited with catalysing landmark police reforms in the country, has moved the Supreme Court to question their implementation by the Union Public Service Commission (UPSC). Singh claims the commission has misinterpreted the 2006 Supreme Court judgment, reiterated by the court last July, laying down the reforms. According to Singh, the court’s directive that DGPs should have a fixed tenure of two years has led the UPSC to exclude senior Indian Police Service (IPS) officers close to retirement from the promotion exercise. This, even though the 2006 judgment clearly states that the tenure should be two years long irrespective of a candidate’s date of retirement. When the UPSC shortlisted three candidates each for selection as Punjab and Bihar DGPs last year, it is believed to have only chosen IPS officers of the 1987 batch, superseding several senior officers with less than two years of service left. It is in this light that Singh has moved the apex court. Leaving out these officers because of the date of retirement “was unfair”, Singh has argued in his application. 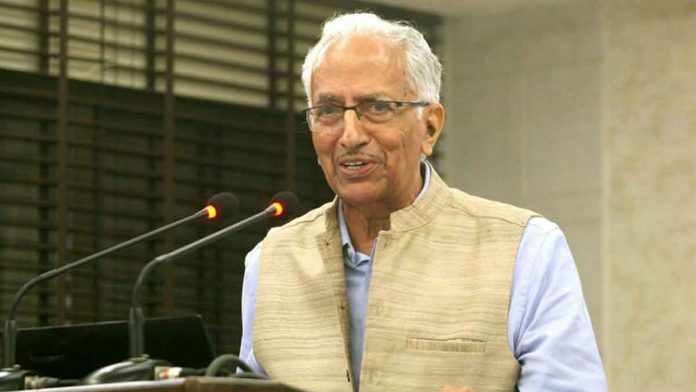 Speaking to ThePrint, Singh said, “The Supreme Court had only said that DGPs should have a fixed tenure of two years, and officers should be selected by the UPSC on the basis of their length of service, good record and experience. “It never said that officers should have two years left before retirement [for selection]…It is very unfair to those who are not being considered,” he added. In 1996, Singh had filed a petition in the Supreme Court seeking directions to make police more accountable and transparent. The court took 10 years to deliver what is considered a pioneering judgment on police reforms. Instead of states directly appointing DGPs, the court said, the UPSC should first shortlist three eligible officers for the post “on the basis of their length of service, very good record and range of experience”. State governments were told to then pick one of the three as DGP, with the move meant to minimise political influence in these high-profile appointments. In July last year, the court reiterated the need for states to implement the reforms stipulated in the 2006 judgment. “An endeavour has to be made by all concerned to see that the person who was selected and appointed as the director general of police continues despite his date of superannuation,” the court said. However, it added that the direction should not be misused to ensure longer tenures for states’ chosen candidates. “However, the extended term beyond the date of superannuation should be a reasonable period. We say so as it has been brought to our notice that some of the states have adopted a practice to appoint the director general of police on the last date of retirement, as a consequence of which the person continues for two years after his date of superannuation,” it said. DGP Singh’s application seeks to obtain clarity on the July order, saying the directions are “ambiguous and contradictory”. The strict implementation of the 2018 Supreme Court order has left several senior IPS officers disgruntled in Bihar and Punjab. “It is totally absurd that you leave out the brass of the IPS by not considering anyone who has less than two years… You are ignoring so many officers who have the requisite experience and credibility because they don’t have two years left,” a senior IPS officer from Bihar, whose name did not figure in the UPSC list, told ThePrint. “We are being expected to work under our juniors now,” the officer added. In Haryana, where the appointment of the DGP is now due and the UPSC expected to meet Friday for the empanelment of three eligible officers, senior IPS officers are worried that they may be superseded. “I have sent a representation to the UPSC that the Supreme Court orders are being misread, but there has been no response from them so far,” P.R. Deo, a 1986-batch IPS officer, said. “The UPSC cannot take such a strict view of the SC judgment, since the court only said there should be a reasonable period before retirement,” he added. “If the UPSC does not revise this two-year formula, it can be charged with contempt of court,” Deo said.